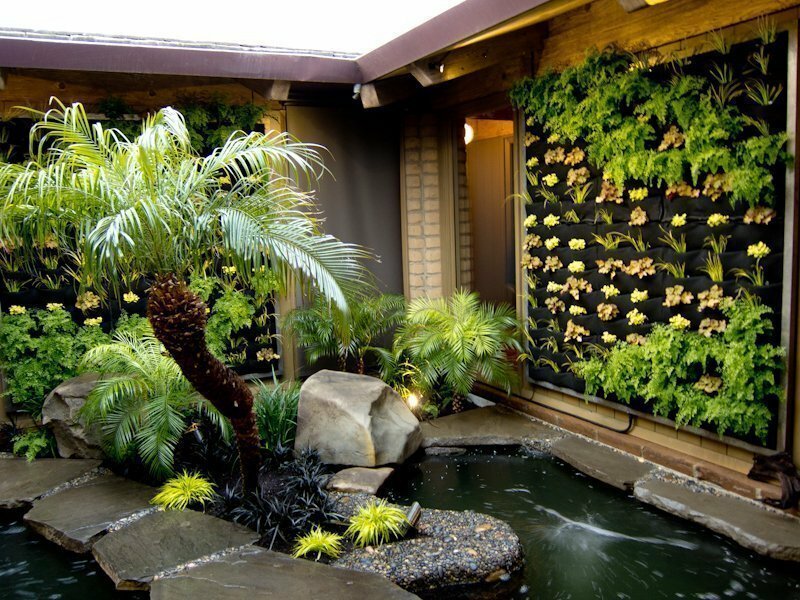 Landscape designers from Living Green of San Francisco created living walls in the courtyard of thier clients home in Los Altos using two custom-sized PlantsOnWalls Floraframe living wall systems. They used small plant starts to build living tapestries within the compact sun-filled atrium. 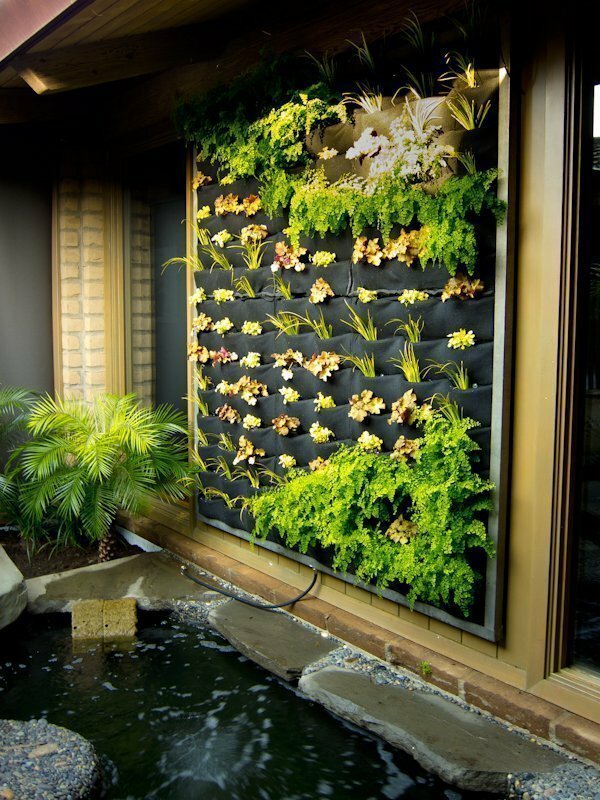 Designers from Living Green, San Francisco, install a vertical garden using the Floraframe living wall system. Custom Floraframe Living Wall Kit. Design by Living Green, San Francisco. 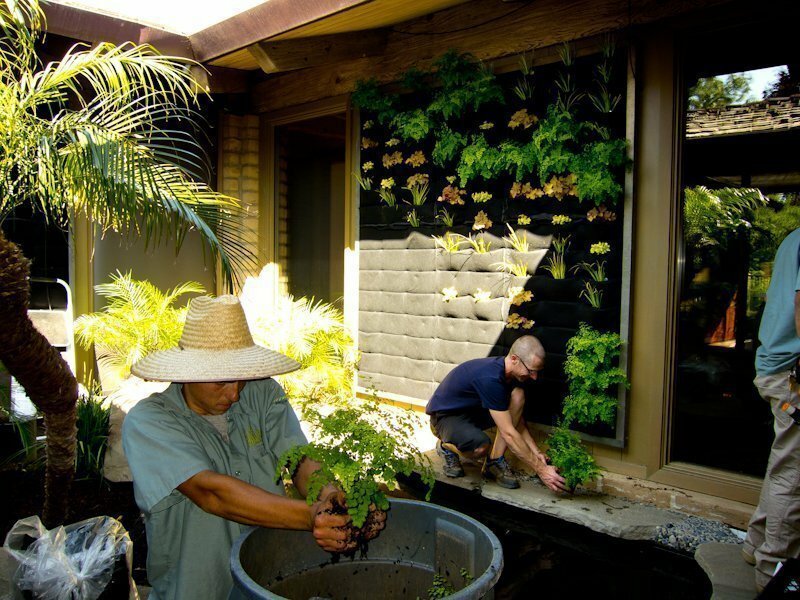 Floraframe Living Wall Kits for a private residence in Los Altos. Design by Living Green, San Francisco.